I'm not the only one who felt like January lasted ages. My perception of time is pretty much all out of wack so I mostly have no idea what day it is. I got some cool things for Xmas as well as some Boxing day deals which I have been enjoying using the past month. These were the things I managed to come up with. My iPod bit the dust a while ago and I've been wanting to get another. However, Santa thought an iPhone would be better so I've been adjusting to it. At first I was hesitant but then I was excited to finally get the apps I couldn't download on Android. I now mostly take Instagram pictures on it as well as using the photo editing apps. My laptop had some issues so I'd been looking at getting another for a while. I got another HP from The Warehouse Stationery where it was on special and it's going great so far. I don't know how but all my bookmarks were transferred to this one so I didn't need to go through and redo everything. Another cool thing is that I can send photos from the laptop to my phone (with an app) so I don't have to connect it to a USB. Oh, and it's much faster too which is a plus. I might as well review it now. The story is very unique, it's not one which I've read over and over again which is amazing. 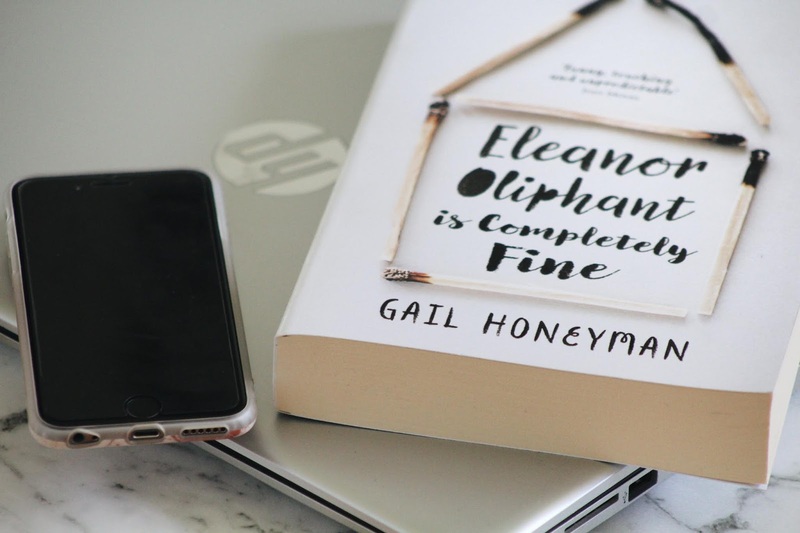 The story follows Eleanor who sticks the same schedule; same outfit, meals etc. She believes her life is fine until an event disrupts her path and she discovers other joys to life such as friendship. We see her adjust to this new thing in her life and as you get through the book we learn what made her want to live her life like this. Eleanor is a unique character which I loved and there was also a bit at the end which surprised me which I very much enjoyed. That's all I can think of at the moment. I blame the heat, I just can't function properly. Bring on Autumn.